Between the flu and strep, it feels like everyone I know is sick these days, which means it’s time for a nice big pot of Jewish penicillin. Chicken soup! 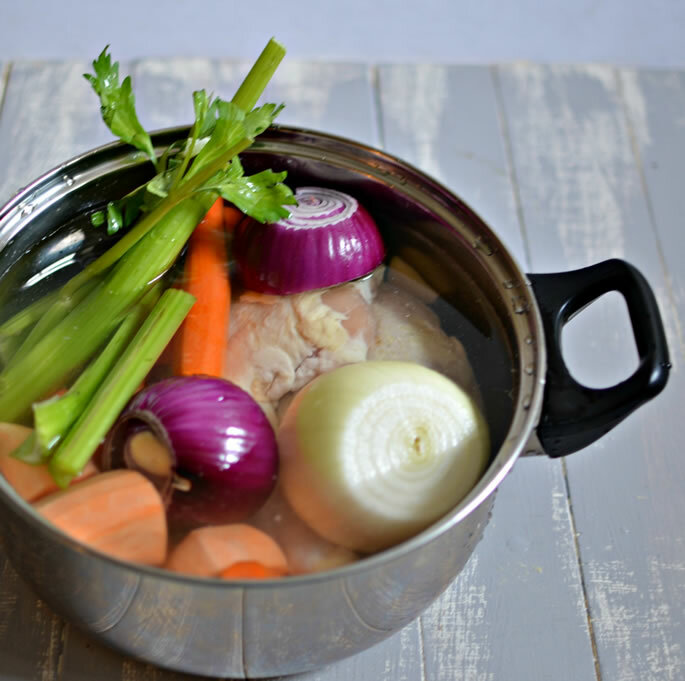 No two pots of chicken soup are exactly alike, in my experience, and I don’t claim to have the very best chicken soup recipe in Jewish history. But it’s rich and healthy, and I’d love to share it with you. You’ll need chicken, carrots, onion, celery, sweet potato, zucchini, fresh garlic, salt and, of course, water. Peel the carrots, sweet potato and onion. It’s best to leave the peel on the zucchini, or else it completely disintegrates in the soup. Cut the vegetables into chunks, not too small. Let the soup cool and refrigerate it overnight. The fat will rise to the top and harden, making it easy to remove (see picture). Scoop off the fat and bring the soup back to a boil. Simmer until you’re ready to serve. You can eat it plain, with matzah balls, or with the chicken and vegetables from the pot. 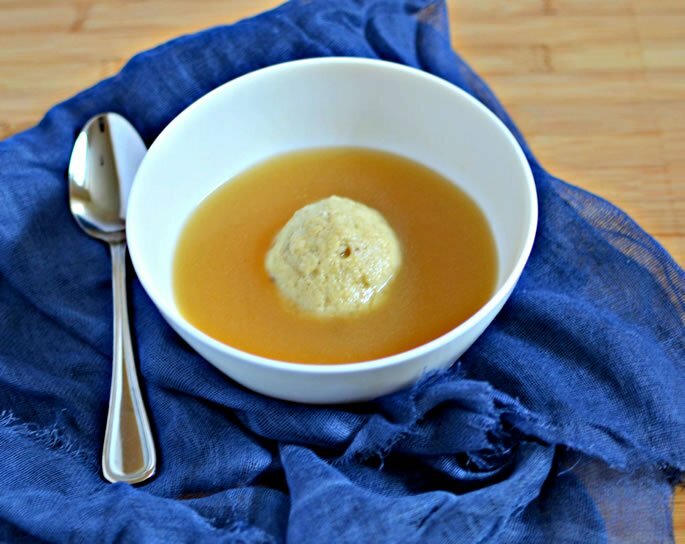 I’ll be sharing a number of different matzah ball recipes and techniques in a separate post. Stay tuned! Tip: For a very clear broth, pour it through a cheesecloth. Peel the carrots, sweet potato and onions. Leave the peel on the zucchini. Cut the vegetables into chunks, not too small. Put all ingredients in the pot and bring to a boil. As soon as it boils, turn it down to a very low simmer, and cook for 4 hours. Refrigerate the soup overnight. The fat will rise to the top and harden, so you can easily remove it. After you remove the fat, reheat and serve the soup. Tip for a clear broth: Strain the soup through a cheesecloth. Do you have any unusual chicken soup ingredients or tips? Share them in the comment section below. Sheila Kotkin's comment Is this you Sheila - much as I love to eat chicken soup I would love to see you more. I was with Jana yesterday and we were both wondering how to contact you. Isn't zucchini what we call courgette in Europe and a cousin of the marrow which is eaten everywhere? 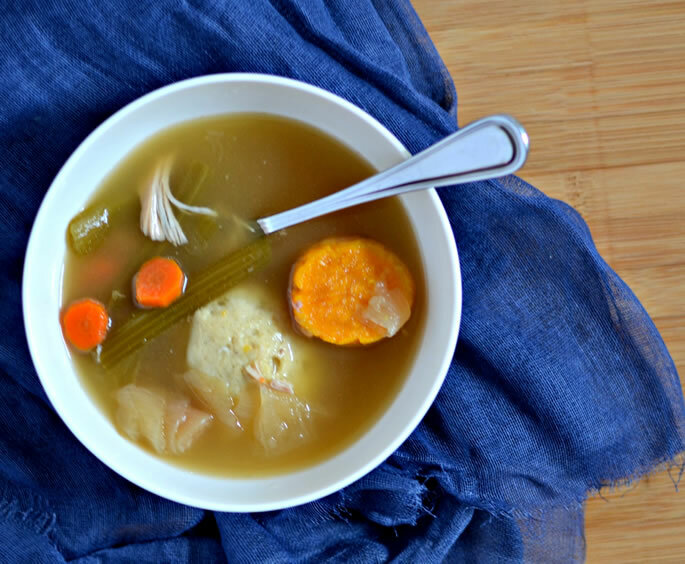 classic chicken soup Does the zucchini come from the Sephardi tradition in Israel? My Polish/Russian background doesnt include zucchini. I didn t even think it was indigenous to these countries. Interesting. The sweet potato in the soup was also new to me but sweet potatoes were part of the food I grew up with and did come with the Russia Polish (eastern European) Package! Just curiouis. Otherwise lovey recipes. I can see where this recipe could be offensive to those who practice the dietary laws. Of those negatively commenting on Cream of Chicken Soup, then I suppose these people do not use Beef Frye (imitation bacon), Kosher Passover Noodles, Imitation Crab Meat (Pollock) or anything else that rings of Traif. Chicken soup with "fake milk"! So could you use Almond Milk or Soya Milk for example? 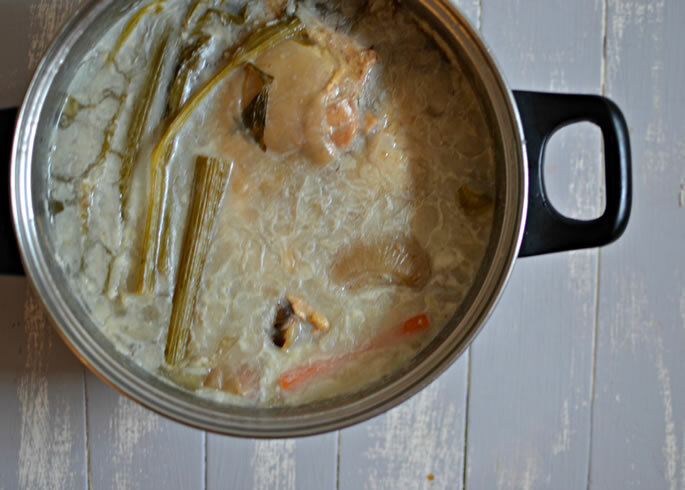 cream of chicken soup or soy milk - even better and lower calorie. My Grandmother was from the Ukraine and used soup greens in her soup. They gave it a lot of flavor. Has anyone heard of this? One thing for sure, she never used sweet potatoes or zucchini. She removed the greens after it cooled down and left it overnight to cool so she could remove the fat. Then she always strained it.